Reading time: about 22 minutes. Coming hard on the heels of the head-turning De Tomaso Mangusta, the De Tomaso Pantera was a successful combination of Italian aesthetics and breeding with a nice big and easy to maintain Ford V8 engine, and a proven German ZF transaxle. 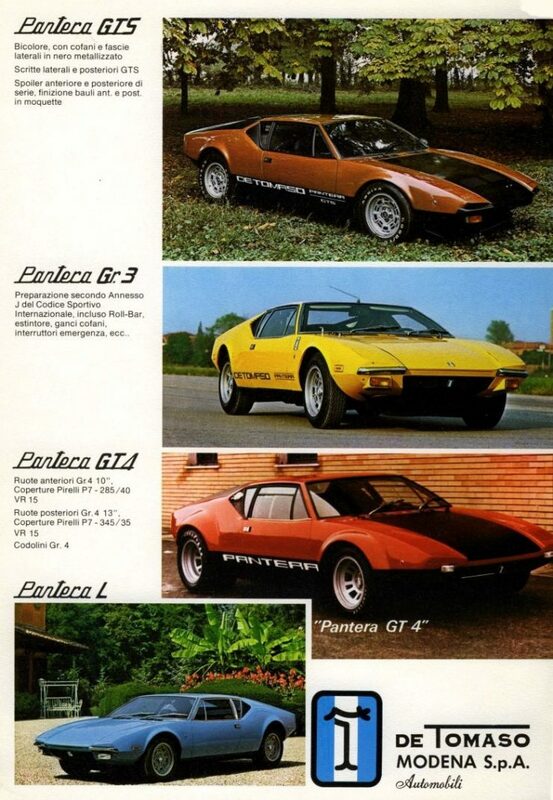 The Pantera broke the convention that said if you have an exotic mid-engine Italian GT you’re going to have to pay exorbitant amounts of money for engine re-builds and pretty much any other maintenance you’re going to need. It was sold in the US at Lincoln Mercury dealerships with the backing of the Ford Motor Corporation. This was an Italian GT that the average enthusiast/owner could take a spanner to themselves and fix most things with little difficulty whilst having a whole lot of fun: something you could not realistically do on a Lamborghini or Ferrari. The founder of De Tomaso, Alejandro de Tomaso, was an Argentinian motor enthusiast who left his native land for Italy at the age of 27. Some say he was escaping from the oppressive political atmosphere prevalent in Argentina at the time, and that may well have been part of his motivation – but his passion for sports cars and motor racing were driving forces behind his move to one of the epicenters of motorsport, Italy. De Tomaso wanted to race with Maserati, but the Maserati brothers had sold the company that bore their name to a gentleman named Adolfo Orsi and his family interests in 1937. The brothers continued to work at the company on a ten year contract and, after the Second World War when their contracts expired in 1947, they left, and three brothers; Ernesto, Ettore and Bindo, formed their own new company called O.S.C.A. (Officine Specializzate Costruzione Automobili—Fratelli Maserati S.p.A.) with the intention of specializing in racing and competition automobiles. It was to O.S.C.A. that Alejandro de Tomaso went. He drove for O.S.C.A. for three seasons from 1956-1959, including a Formula 1 attempt in 1959, prior to establishing his own company the same year. Alejandro de Tomaso located his new company in Alberato, Modena, a short walk from the Ferrari factory. He first tried his hand at building Formula 1, 2, and 3 cars but without success, so he stopped building them in 1970. His first production road car was the Vallelunga which appeared in 1963. The Vallelunga featured a backbone chassis and was powered by a tweaked British Ford Cortina engine. It was somewhat like a four cylinder mid-engine Lotus in size, design and performance. The Vallelunga was not a supercar however: it was similar in performance to the O.S.C.A. 1600 GT Coupé of the early 1960’s. 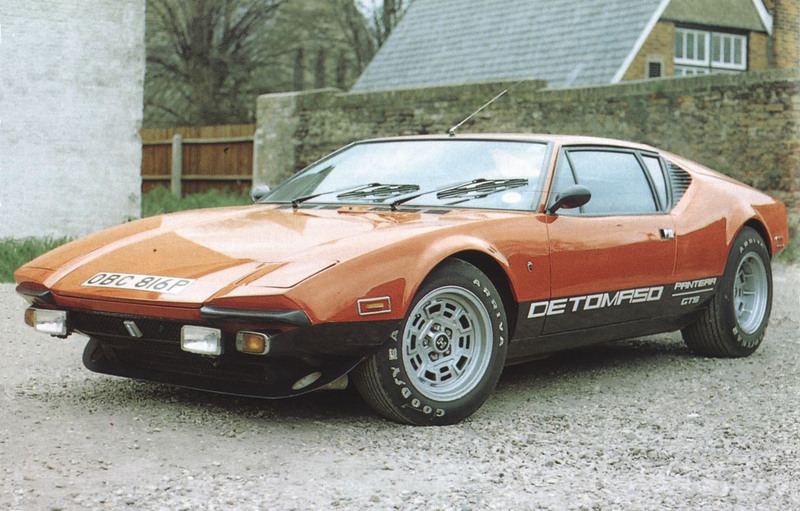 The second De Tomaso car was a different kettle of fish altogether. Named Mangusta, after the mongoose, an animal known to fearlessly tackle and kill a Cobra, this car was indeed a Shelby Cobra killer. The Mangusta was powered by a 289 cu. in. Ford V8 engine for world markets, or a 302 cu. in. 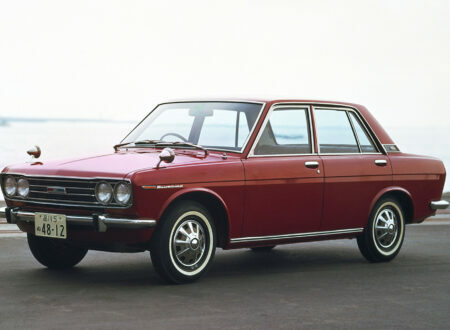 for the US, and it entered production in 1966. The car’s steel backbone chassis was clothed in a svelte Ghia, Giorgetto Giugiaro designed body. It not only looked like a supercar, it performed like one, and it remained in production until 1971 with approximately 400 being made. By this stage De Tomaso had attained the status of a small scale exotic car builder, but what was to happen next was to significantly increase their production capacity by working in cooperation with Ford. 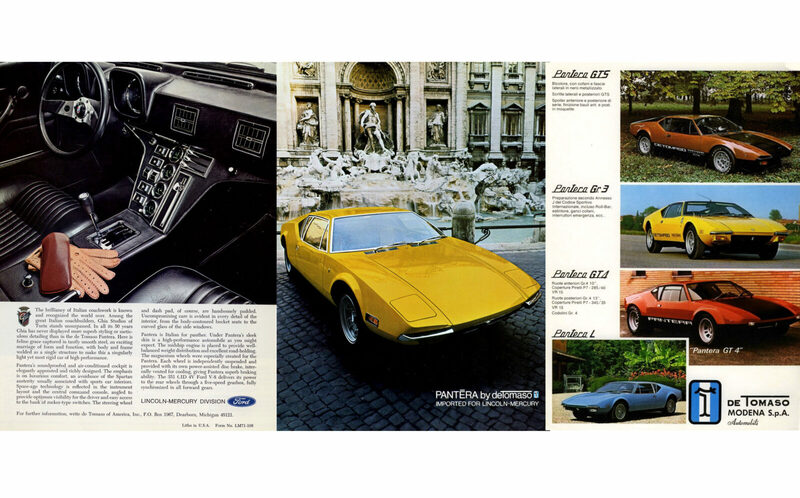 The Mangusta set the tone for what De Tomaso was capable of and management at Ford became so interested that they invested in an 80% share of the company, with Ford executive Ray Geddes becoming a De Tomaso Vice-President. Ford also bought interests in the Ghia design house, and in Vignale. 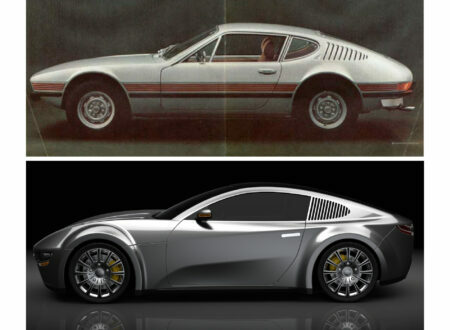 The intention was to have De Tomaso create a GT car that could be semi-mass-produced and sold through Ford’s Lincoln-Mercury dealership network. What they wanted was a car that would completely upstage the Corvette and anything else GM could make. The result of this thinking was the creation of a car that used a steel unibody body rather than the more exotic backbone chassis of the previous cars, and that was powered by a suitable Ford V8 engine mated to a production ZF transaxle. This was to be the Pantera (Italian for Panther). 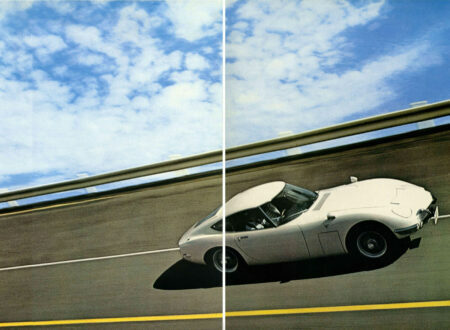 The design was by American Tom Tjaarda working for Ghia, as had been Guigaro who designed the Mangusta. 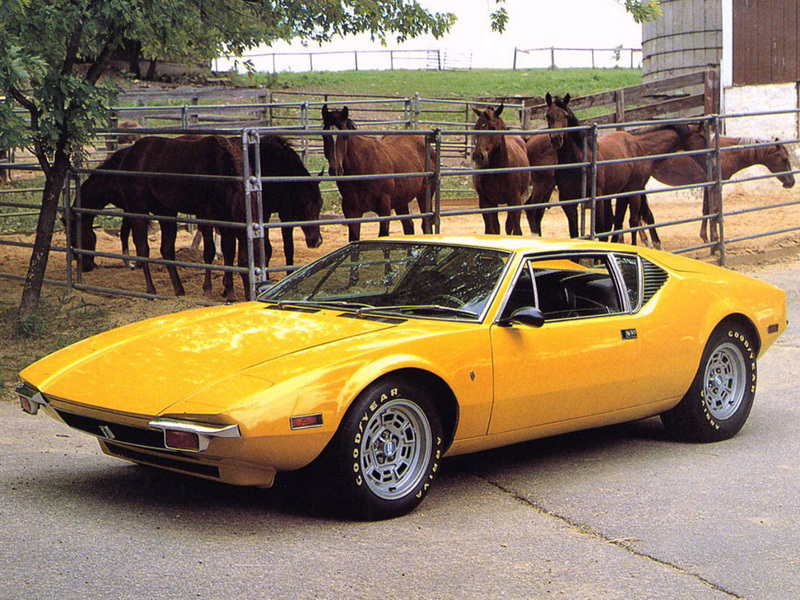 The De Tomaso Pantera made her debut at Modena in March 1970 and then at the 1970 New York Motor Show. 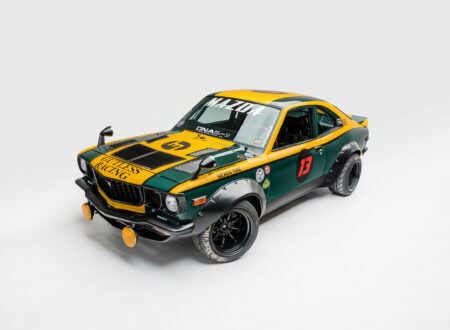 The model shown was a hand-built show car and not completely as the later production cars were to be. Alejandro de Tomaso was still a racing driver at heart and so the show car featured unusual slatted seats that may have proven excellent for a road race but that were not well received by the car’s potential buyers, who thought they looked uncomfortable. For the production cars the seats were changed to more conventional units. Production began about a year after the car’s first showing with three cars per week being turned out. 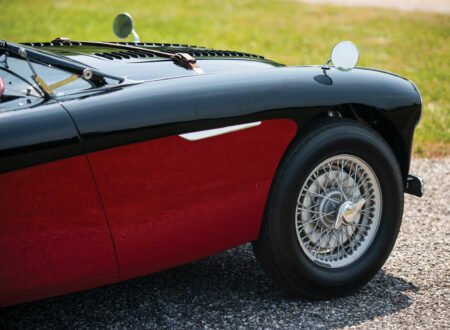 These early cars were not constructed at the quality level one might expect from Aston Martin or Porsche. 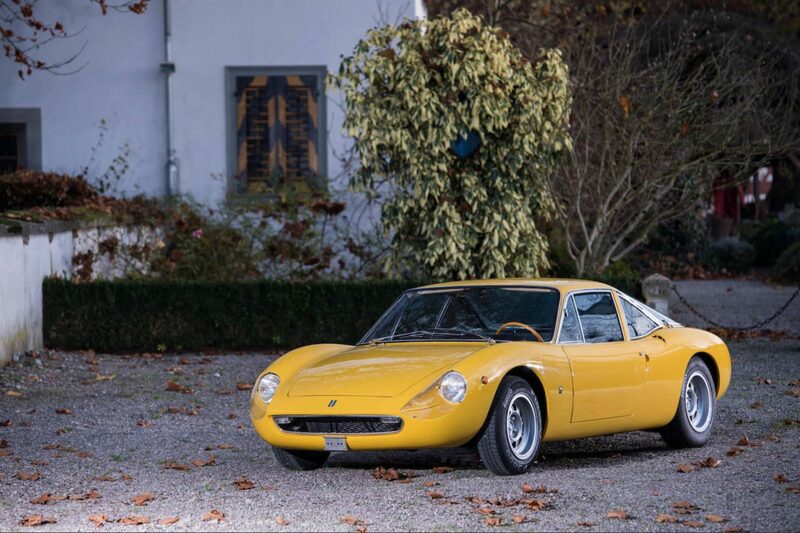 Specialist Italian cars of the sixties and seventies were not known for high standards of quality control in the bodywork, and rust-proofing tended not to be done well, if it was done at all. Buyers of such cars who intended to keep them commonly had improvements done, especially rust proofing and upgrades to the interior. The Italians excelled at the mechanicals, but not the things they may have considered “cosmetic”. As the early Panteras arrived on the showroom floors of Lincoln-Mercury dealerships the quality control problems were quickly noticed, not least of which was the presence of significant amounts of body-solder used to fill defects in body-panels. Customers coming into Lincoln-Mercury showrooms expected fit and finish to be top quality, and the Pantera’s shortcomings were obvious to observant customers accustomed to Lincoln-Mercury standards. Ford realized they needed to step in to rectify the problems and so they became involved in Pantera production, especially with regard to ensuring top quality precision pressed body panels. The car presented other issues, not least of which was the interior design which required a significant offset of the pedals, made necessary because of the space needed for the fully independent front suspension. 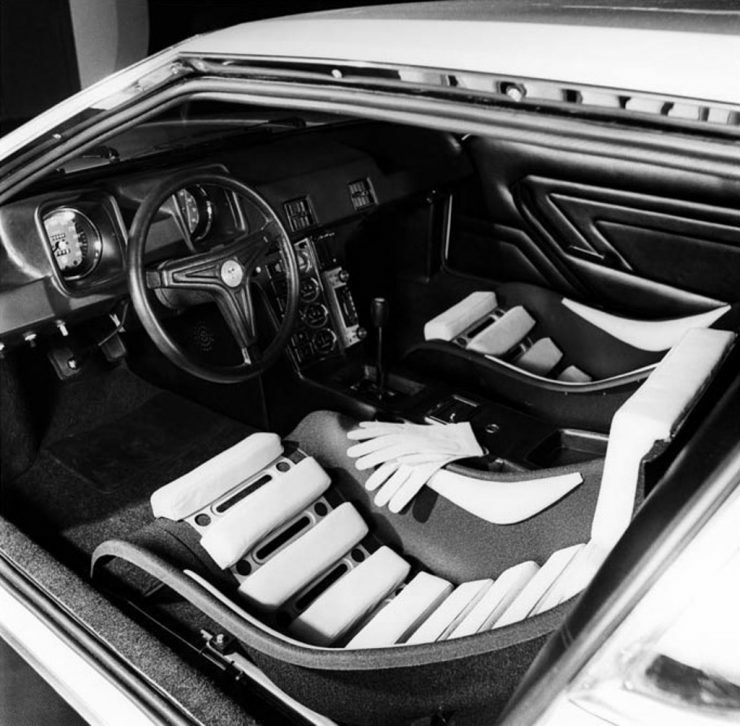 The Pantera’s interior provided limited space, so the maximum practical height for a driver was 6 feet. People taller than that would need to modify their cars with custom seats and other tweaks. Notwithstanding all these things, within the first year of production the teething problems of the car were largely resolved. The interior had some well thought-out features such as the center console instruments being angled towards the driver to ensure a clear view, and the superb gated transmission for completely positive shifting. 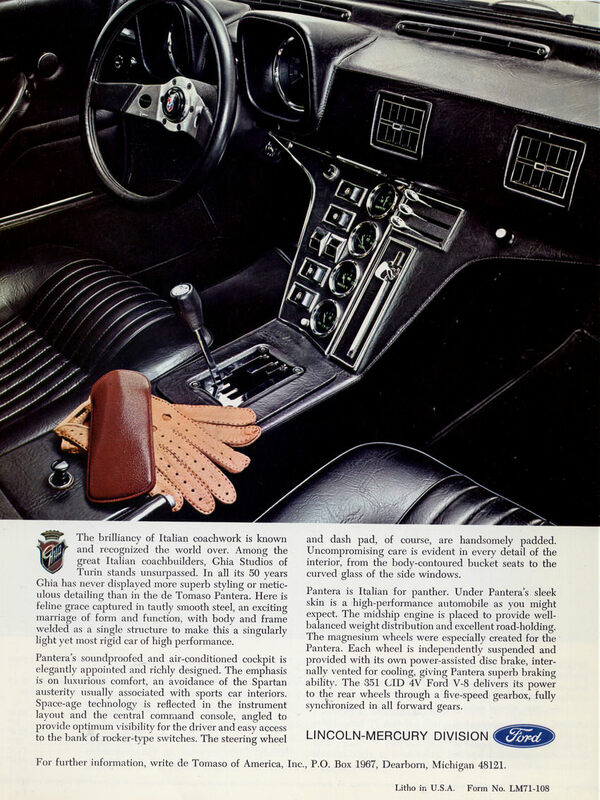 But the interior had some irritating foibles as well: the speedometer and tachometer sat in pods ahead of the driver but partially obscured by the driver’s hands on the wheel. Similarly the cigar lighter on the center console would tend to be activated by the driver’s elbow if he rested it on the console. In its favor however the car had a number of luxury features such as electric windows, which were very much a novelty back then, air conditioning, and an audible open door buzzer. The price of the car was around was about half that of a comparable Ferrari or Lamborghini. Perhaps the early model Pantera’s most high profile owner was Elvis Presley, who purchased a second hand primrose yellow one for his then girlfriend Linda Thompson. That car is on display at the Gracelands Museum complete with a bullet hole in the steering wheel. The story, according to George Klein, is that the Pantera had broken down whilst Elvis had been driving in Memphis and it had to be towed back to his house. With the car in the driveway as Elvis was relating the breakdown story to George he pulled out a gun and shot the car for not running right – strangely enough after the car was shot it started up and ran just fine. 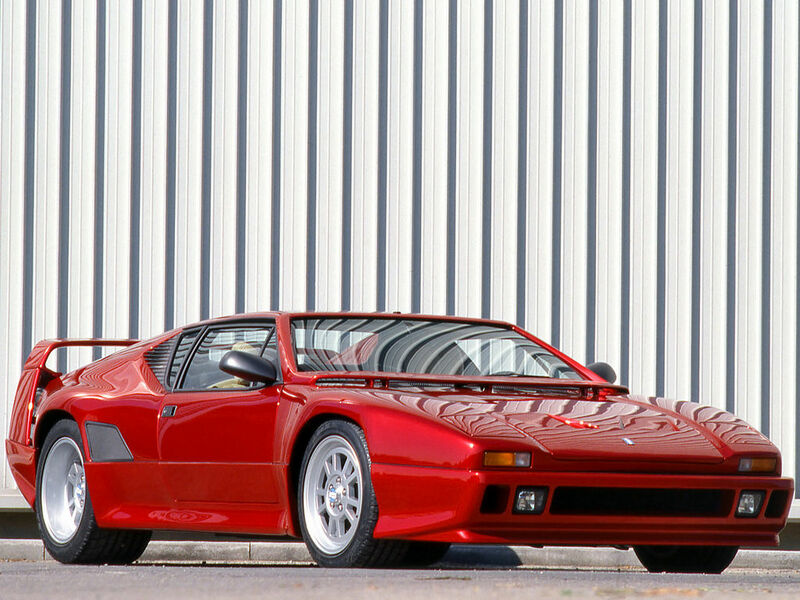 The standard Pantera for world markets other than the US were fitted with a 351 cu. in./5.8 liter Ford V8 engine producing 330 hp. 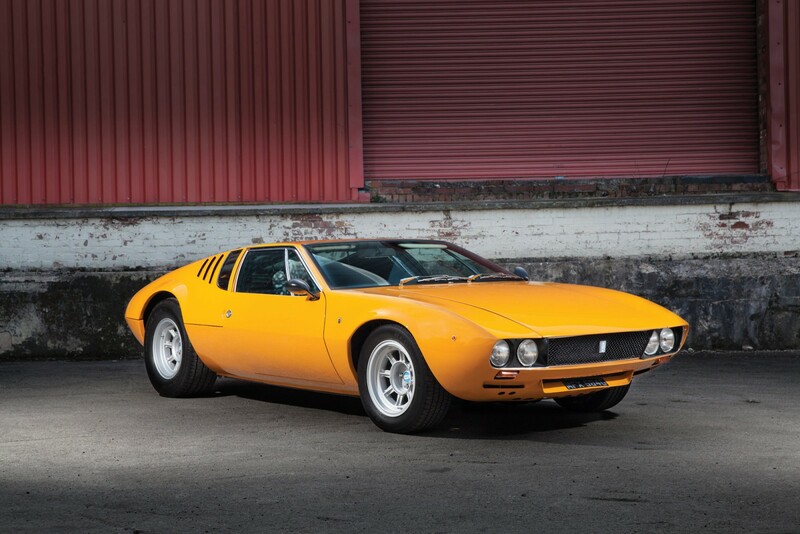 The transmission was the same 5 speed ZF transaxle as had been used on the Mangusta. 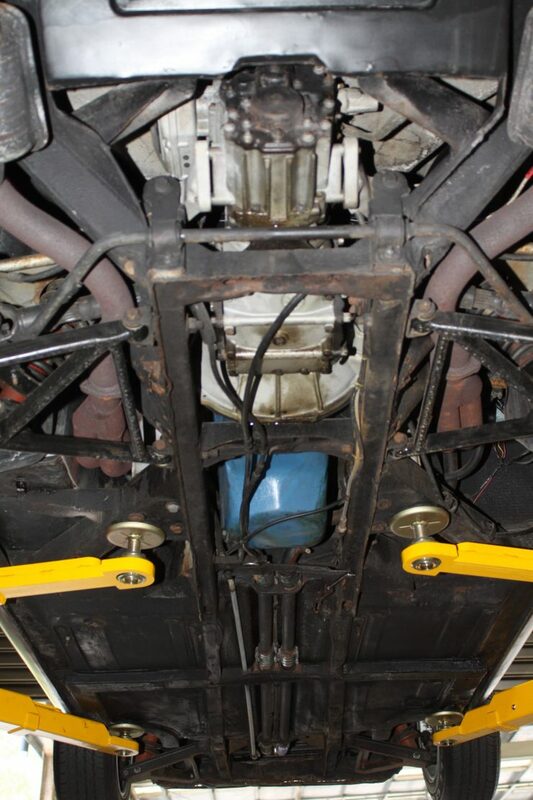 Suspension was fully independent with wishbones, coil springs, and telescopic dampers/shock absorbers front and rear. Wheels were 15 inch shod with 285/40 tires front, and 345/35 rear. Brakes were discs all around with servo assistance. Steering was by rack and pinion, the sort of thing one expects on a quality sports car. The car could accelerate from standing to 60mph in 5.5 seconds, so headrests were appreciated. Reports on the early production cars state that the noise from the ZF transaxle was intrusive, and this is one of the defects that was attended to as the early model was subjected to trouble-shooting and improvement. A pleasant surprise for many, especially the mechanics who would be working on these cars, was that the engine and major components proved to be quite accessible, especially by comparison with some other exotic Italian cars or the contemporary British Jaguars for example (the XKE or E-Type was good but the sedan/saloon cars engine bays were very cramped). In 1973 a GTS version was introduced with a high compression version of the 351 cu. in. Ford 335 Cleveland V8 engine with solid lifters for non-US markets. Standard engine power was 330bhp which propelled the GTS to a full 160 mph/256 km/h. This car was fitted with wider wheels and riveted on wheel arch extensions which gave it a more businesslike competition car look. After 1975 when Ford US ceased the distribution of Pantera’s in the United States and also ceased production of the 351 cu. in. Cleveland V8, De Tomaso began sourcing their engines from Ford Australia who continued to make the engine up until 1982. The Australian made engines were sent to Switzerland for tuning and were available in a range of power outputs up to 355hp. The GTS remained in production until 1985. The first 75 US Panteras were largely the same as their world market counterparts. The principle differences were the larger rear lights on the US version and provision of corner marker lamps. The power plant was the same 351 cu. in./5.8 liter Ford V8, used in Europe with 11:1 compression ratio, breathing through a four barrel carburettor, and producing 330hp @ 6,000rpm. The transaxle was the standard 5 speed ZF unit which had been used in the Mangusta and was also used in the Maserati Bora. These first cars were the ones with hand-made bodywork by Vignale, these are the poorer quality body panels with defects filled with body solder (a common aspect of hand formed body panels). The doors feature the European press-button release. To be fair to the De Tomaso Pantera many other car makers were guilty of skimping on rust protection, the Jaguar XKE/E-Type being an example. In 1972 US models were required to meet new emissions standards. This necessitated a change of engine and reduction in the compression ratio from 11:1 to 8.6:1. The new engine was the Ford 335 Cleveland, with the same 351 cu. in. capacity but with a number of improvements including the use of 4-bolt main-bearing caps. To compensate for the loss in power the US market this engine was fitted with a “Cobra Jet” camshaft. This provided the same valve lift and duration as Ford’s 428 Cobra Jet performance camshaft, and was intended to maintain engine power whilst enabling the use of lower octane standard grade gasoline, as well as satisfying emissions regulations. 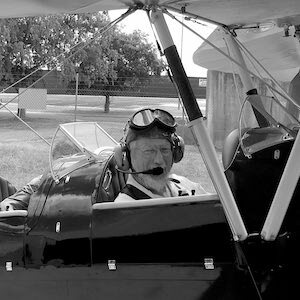 Efforts to maintain the power and torque of the engine did not stop there and the new engine was also fitted with a dual points distributor and an exhaust header to tune the exhaust. The end result of this work was 296bhp @ 6,000rpm, which means the engine lost about 10% of its power by comparison with the version for world markets. The Ford Cleveland engine factory had been the maker of the early Lincoln V8 engine and was a natural fit for a performance car being distributed and serviced through Lincoln-Mercury dealerships. 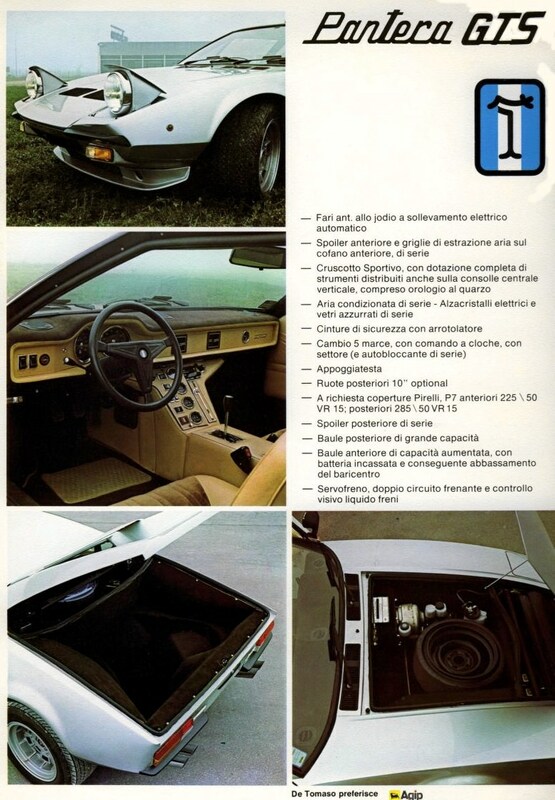 In August 1972 the luxury Pantera L (L for “Lusso” meaning Luxury) was introduced, instantly discernible by the black rubber bumpers fitted front and rear. The intention of the new bumpers were both to satisfy low speed collision damage requirements and to provide a spoiler effect at the front to reduce lift at speed. Later models would see a much more effective front air-dam fitted. The interior was also improved, seats became more luxurious, and overall the car became the Porsche killer it had been designed to be. In 1973 the main instruments in front of the driver were brought together and angled towards the driver, to ensure they were more easily readable: this improved the visibility of the tachometer and speedometer significantly. 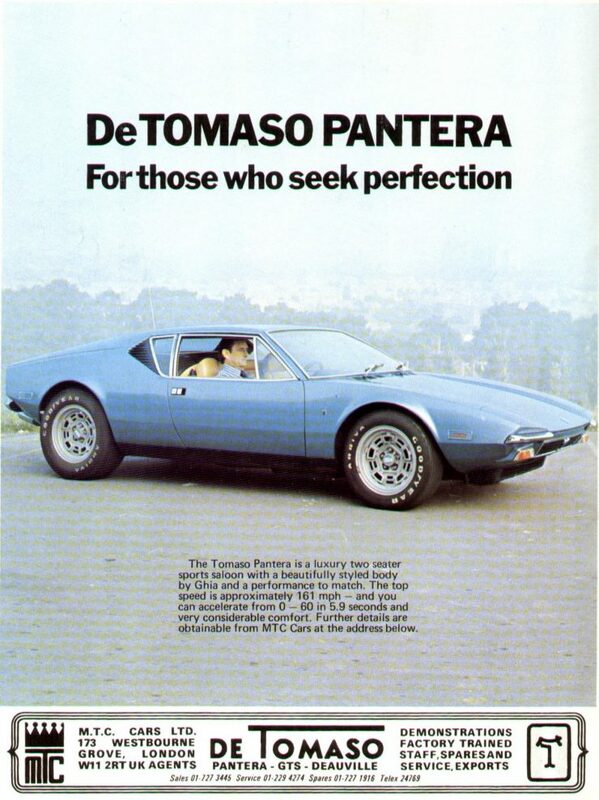 The Pantera L fully resolved the quality control issues that had beset the early production cars, it was now so good that it became Road Test Magazine’s Car of the Year in 1973: which means it beat Ferrari, Lamborghini and Porsche amongst others. The Pantera had matured into a very desirable GT that could hold its own with the best in the world. Ford ceased importing the Pantera in 1975 and stopped distributing them through the Lincoln-Mercury dealership network, having sold approximately 5,500 cars. Ford had already ceased US production of the 335 Cleveland V8 engine, however Ford Australia continued to manufacture it so De Tomaso were able to continue to source the engines from there. From 1970-1976 that 351 cu. in. Ford V8 had been the engine of the Australian Ford Falcon GT, a star of the Mount Panorama racing circuit near the town of Bathurst in NSW. De Tomaso continued making the Pantera for world markets and some cars were imported into the US as “gray imports” in the years following 1975, principally through the Panteramerica and AmeriSport companies. 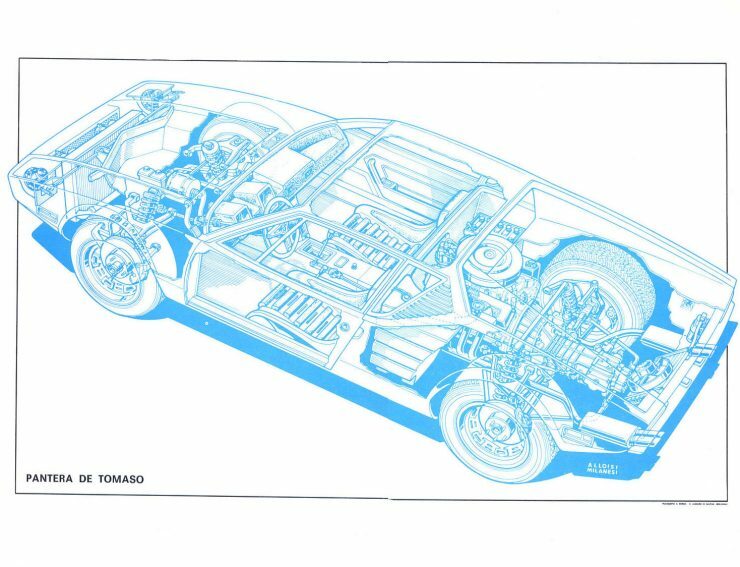 In 1980 De Tomaso revised the design of the Pantera chassis, with cars built on the new revised design beginning from chassis number 9,000. 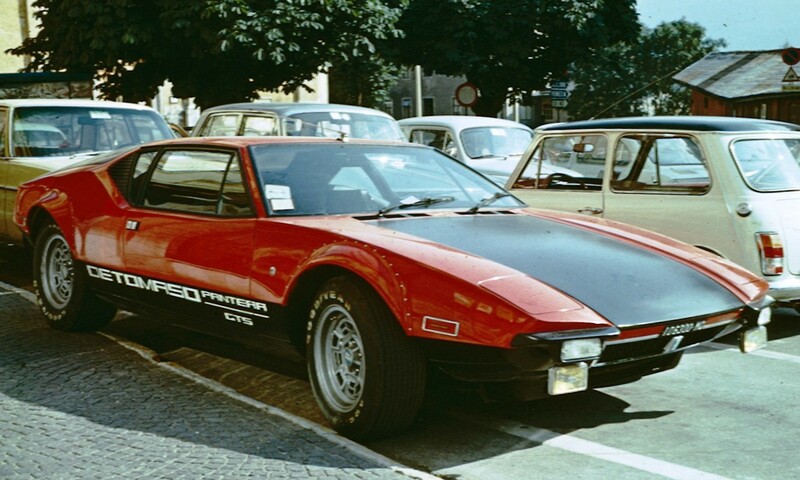 That year De Tomaso introduced a new model of the Pantera that incorporated both the chassis improvements and a significantly revised body design. This was the Pantera GT5 and it was fitted with fiberglass wide wheel arches that were bonded and riveted, to accommodate its wider 15×10 inch front and 15×13 inch rear wheels with 285/40 VR15 front and 345/35 VR15 rear tires. At the front was a new air-dam to significantly improve the car’s stability at top speeds, whilst lurking in those big wheels were improved ventilated disc brakes. Engine power was slightly increased to 350bhp @ 6,000rpm despite the compression ratio being 9.5:1. Torque for this engine was 333 lb/ft @ 4000rpm. Overall performance remained the same with standing to 60mph time of 5.5 seconds and a top speed of 160mph. The GT5 remained in production until 1985 when it was superseded by the GT5-S. The GT5-S was fitted with steel one-piece wide wheel arches and front air-dam (the “S” standing for steel). 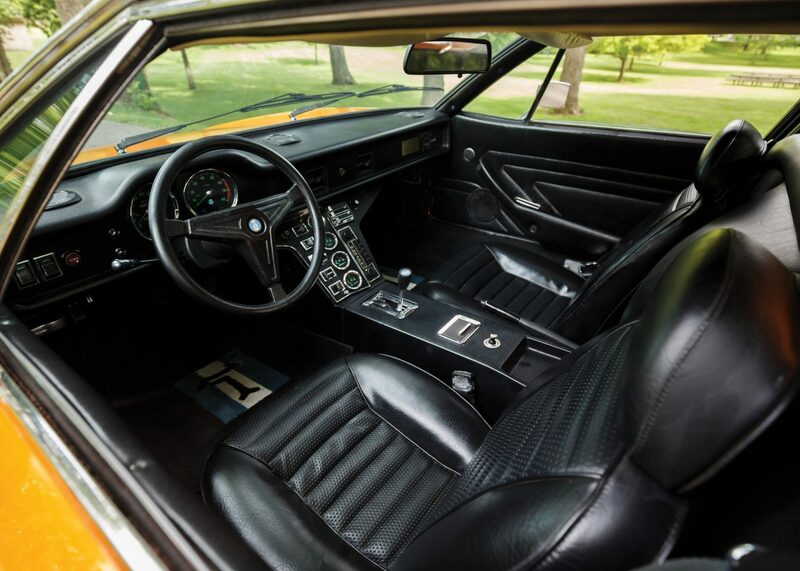 These cars were also equipped with luxurious interiors to make them a significantly more up-market automobile than their more humbly equipped predecessors. Although exact information is not known it is believed that less than 252 GT5 Panteras were built and less than 183 GT5-S. Production of the GT5-S ceased in the late 1980’s, possibly as late as 1989. With the supply of the 351 cu. in. Cleveland V8 ending De Tomaso had to change to a different engine, so they began installing the Ford 351 Windsor instead. For 1990 The Pantera was given a face-lift by Marcello Gandini (the designer of the Lamborghini Muira), chassis revision, and new engine: the 302 cu. in. 5 liter (4,942 cc). In its catalytic converter equipped format this engine produces 244hp and 300lb/ft torque. In non-catalytic converter format power is 300hp with 333lb/ft torque. The catalytic converter equipped car’s top speed is listed as 150mph whilst the non-catalytic converter car manages 155mph. The intention of the car was to be a stylish GT with excellent creature comforts. In a sense the car was reflective of a maturing of design: gone were the riveted on wheel arch extensions and competition car feel, to be replaced with refinement and style. The lines of the Pantera 90 Si were flowing, with the front air-dam and rear spoiler integrated with the lines of the car. But a great deal of re-design work went into the new model to the extent that it is almost, but not quite a new car. The front suspension re-design improved the driving position and allowed for more room for taller drivers. The suspension re-design included the use of oval tubing rather than flat pressings for the wishbones, and brakes featured four pot Brembo calipers grabbing onto ventilated and drilled discs to bring the gorgeous four wheeled projectile to a tidy stop. There was also a new tubular rear sub-frame with three spreader bars where the older cars had one. There were 41 Pantera 90 Si produced (Chassis numbers 9601-9641) but only 38 were sold to customers. 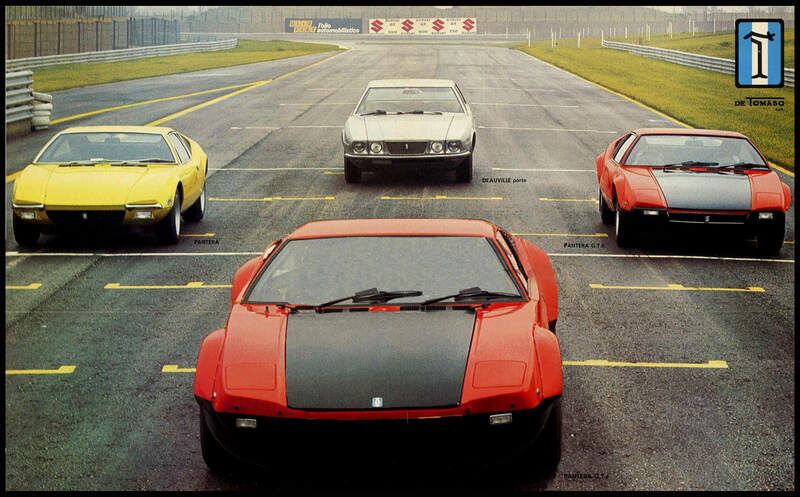 Two cars were subjected to crash testing whilst one was kept in the De Tomaso Museum in Modena. Four of the Pantera 90 Si were sent directly from the factory to coach-builder Carozzaria Pavesi of Milan to be converted to Targa roof. The targa roof is stored neatly in the rear boot lid and is easy to attach when needed. The Targa models needed to not only have the roof neatly cut but also to have the body/chassis strategically stiffened to compensate for the removal of the roof. Most of the Pantera 90 Si were fitted with the same 5 speed ZF transaxle as had been used for the Pantera throughout its production, however two cars were fitted with 6 speed Getrag boxes on special order. Wheels for this model are Fondmetal 17 inch with 235/45 ZR 17 tires for the front and 335/35 ZR 17 for the rear. The Pantera 90 Si were made from 1990 until they were officially phased out in 1993. One car was apparently not completed until 1996. The absolute essential in buying a De Tomaso Pantera is getting one with a straight and rust-free body. The car has a monocoque body and so the bodywork is structural: rust in the bodywork means a compromised structure. The Pantera is a performance car and structural weakness in a car such as this is about as acceptable as structural weakness in an aircraft. So, unless you are budgeting for a full restoration then patiently seeking out a rust free car is something you should not compromise on. The budget for a restoration is something you need a good quotation for if you are contemplating it. Expect that it will cost much more than you estimate yourself. To inspect the car you need a magnet and an ice pick and you need to thoroughly go over the car from the bottom up. This is a job recommended for someone who is a marque expert. So if you don’t have that expertise then don’t risk it but pay a marque expert to examine the car for you. A car may have great paint and the little magnet may stay on in the places you look: it may also have new and sound looking under-body coating. But remember that under-body coating can cover up a lot of internal corrosion, unibody cars tend to rust from the invisible inside outwards. One good place to start looking is at the base of the A pillar where it joins the body. Look for any sign of paint bubbling which means rust underneath. Look for signs of a re-spray – paint with an “orange peel” look is a dead giveaway. Look for signs of body filler under the paint. It may be so obvious that you can pick the outline of the area filled, and it may even be so rough that you can see the sanding marks where it was shaped. It may also be well hidden from your eye, although a magnet should find it. Any sign of the use of body filler is good reason to walk away from a prospective car. Whilst considering these things check on how long the current owner has had the car. If they have had it for only two or three years then a rust “cover-up” job will likely not have become apparent yet, and they may be blissfully unaware of what lies beneath the pretty coat of paint. In the same vein is the need to check for accident damage and chassis alignment. The chassis alignment needs to be measured to ensure it’s in specification. If the car has hit a kerb at speed or had some rough treatment, it may have been used in competition, then chassis mis-alignment can be expected. The suspension needs to be checked for straightness and damage. Take the car for a drive and get a feel for how it tracks and corners. Listen for creaks or unusual noises that would indicate structural issues, suspension or mechanical issues etc. The condition of the car’s interior is an indicator of what kind of life it has had. You are looking for signs of gentle wear or careless use. A car interior with a patina of gentle use ages well. The state of the interior gives a good indication as to the previous owner(s) attitude to looking after it. The same is true of the exterior paintwork, if it is original. 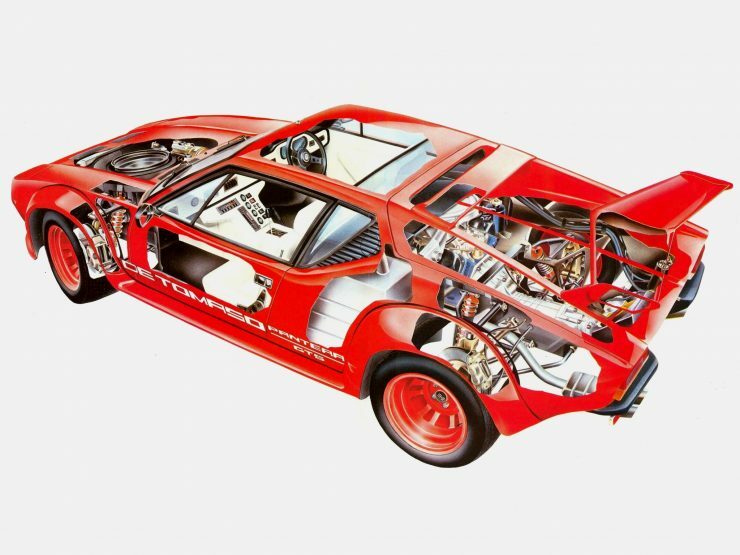 Almost all De Tomaso Panteras were fitted with the same 5 speed ZF transaxle, and that transaxle was also fitted to a number of other exotic sports cars. 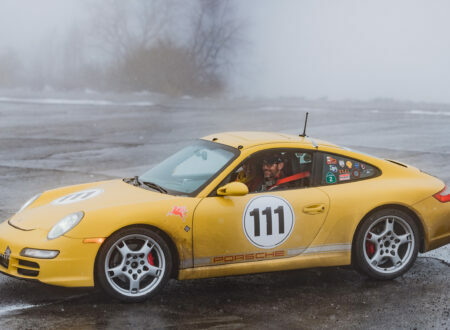 Although the unit is fairly common in expensive GT cars you should not assume that it will be inexpensive to maintain in the way that the American V8 will be inexpensive to maintain. Re-building the ZF transaxle is guaranteed to be costly (though not as costly as many supercar gearboxes) and so it must be in good shape in a car you are considering. It should change smoothly, be quiet, and stay in all gears on the overrun. The very early production Panteras were known for the sound of the transaxle being a bit intrusive. If you are looking at one of those don’t trust yourself but get someone with familiarity with the ZF transaxle to assess it. Amongst the things such a mechanic/expert will do is look at the oil in the box and assess its age and condition. Difficulty in changing gears may be caused by a faulty clutch thrust bearing or clutch hydraulics: in either event however such faults mean there is likely to have been some harm done to the transaxle as a result of the clutch fault. The engine is a common Ford unit will a great reputation. The usual checks on the engine need to be done such as a cylinder leakage test to assess compression and potential piston ring wear. Check for signs of burning oil such as blue smoke in the exhaust. Check for oil leaks, look for signs of oil in the coolant or coolant in the oil. The engine of the Pantera is the most generic and owner fixable component of the car. So if there are engine issues you can budget to resolve them. A Pantera is going to be a significant investment. Have the car’s electrical system assessed by a competent auto-electrician, preferably a marque specialist. Auto electrics that are decades old will need replacement. If the car has had its electrical systems overhauled you will need to assess how good or bad the work has been and how long ago it was done. Check that all gauges, switches and lights work – both interior and exterior. Make a thorough check of the receipts that come with the car to find out who has repaired what and how much was spent. If the transaxle has been overhauled you need to know who did it and whether they are a recognized expert or not. Work done by a known repairer can be trusted, but work from an unknown quantity cannot. Make sure you have as complete a picture of the car’s ownership and maintenance history as you can before making any decision to purchase. The De Tomaso Pantera is one of the more desirable GT automobiles you could consider. They were well designed and are fitted with a generic “owner fixable” V8 engine. For most models you need to be no taller than 6 feet to be comfortable in one. These are a car that owners like to customize and they lend themselves to tinkering. So they are enormously enjoyable both on the road and in the workshop. If you do buy one be very conscientious about keeping rust out of the unibody, be careful to maintain your Pantera well. The De Tomaso Pantera is a car you probably won’t want to sell once you have one: at least not until you get too old to enjoy it anymore and you have to pass it on to the next generation.